The new year is here – the perfect excuse to try something a little different. So why not try vegan? We’re making it super easy to join the Veganuary hype with our new vegan additions for 2019. 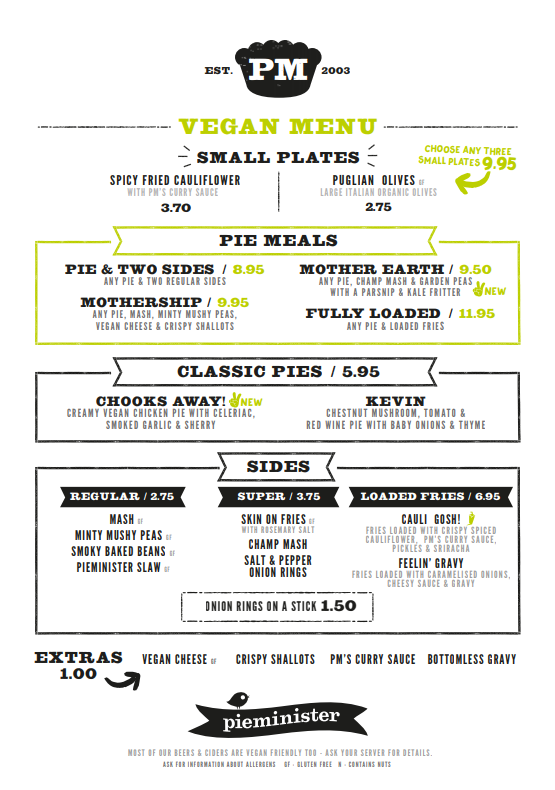 The vegan Mother Earth will have the most committed carnivores begging for a slice of vegan action. Brand new for Pieminister, it’s a vegan pie on a bed of champ mash with garden peas, finished with a parsnip and kale fritter. 100% plant-based, this January blues-busting, pull-out-all-the-stops dish is the tastiest way to kick off 2019. And all for less than a tenner.